The last two chicks we’ve adopted turned out to have very different personalities than the ones we had before. 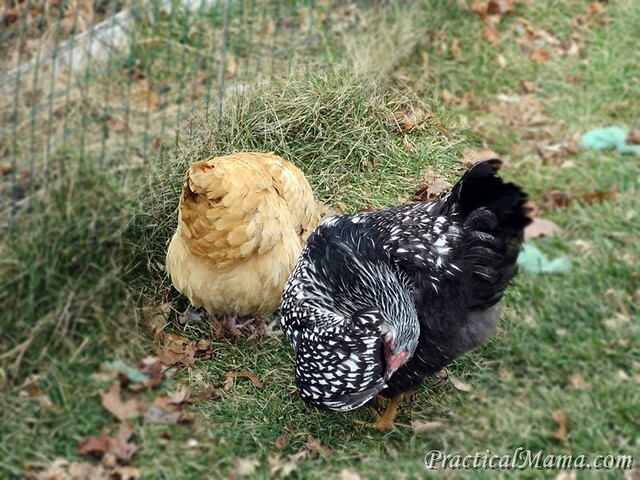 We had a White Leghorn Rooster (Fluffy), an Orpington (Yellow) hen and an Austrolorp (Chick Vader) hen before. From what I’ve read, these are heavier, more domestic, humand-friendly breeds. 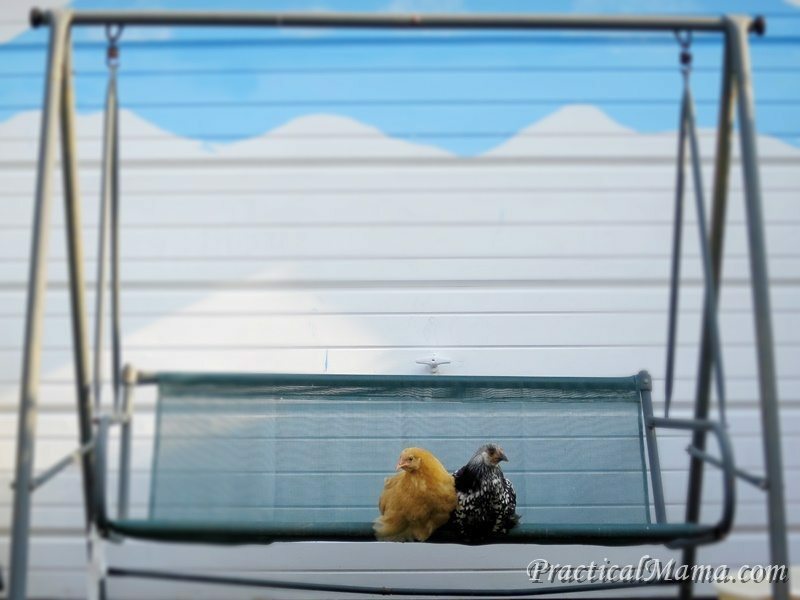 We usually let them roam in the backyard instead of locking them in their coop, which has a small run. 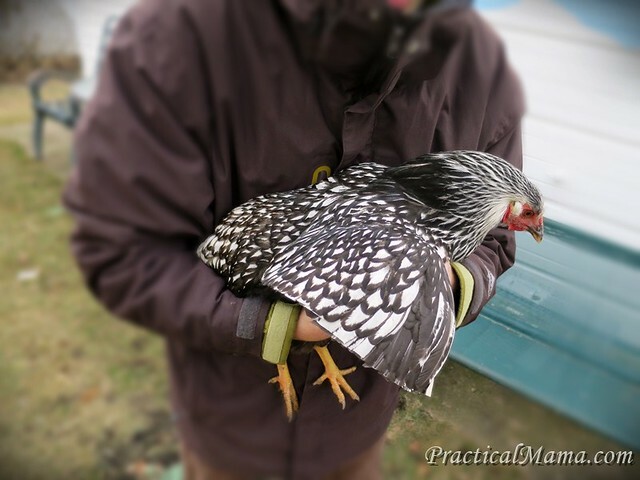 Our Silver-Laced Wyandotte (Silver), on the other hand is very adventurous and mischievous. She is not as docile. 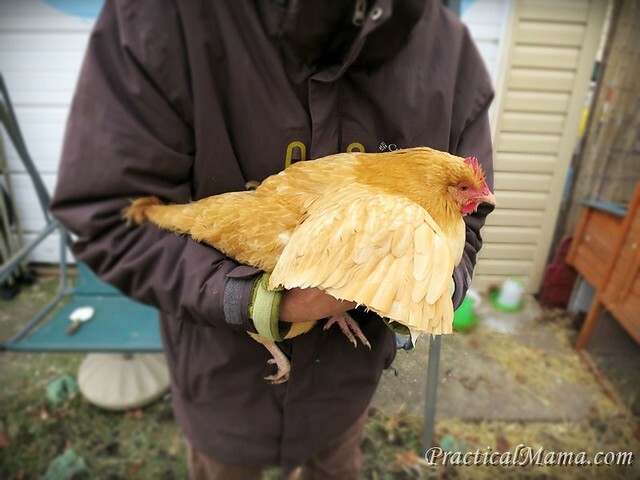 Our new Orpington (Goldie), which came along with Silver is not as smart, however, she follows Silver everywhere she goes and does everything she does. They started by flying over to our next door neighbors backyard. Then they started flying over one more fence, two doors down. 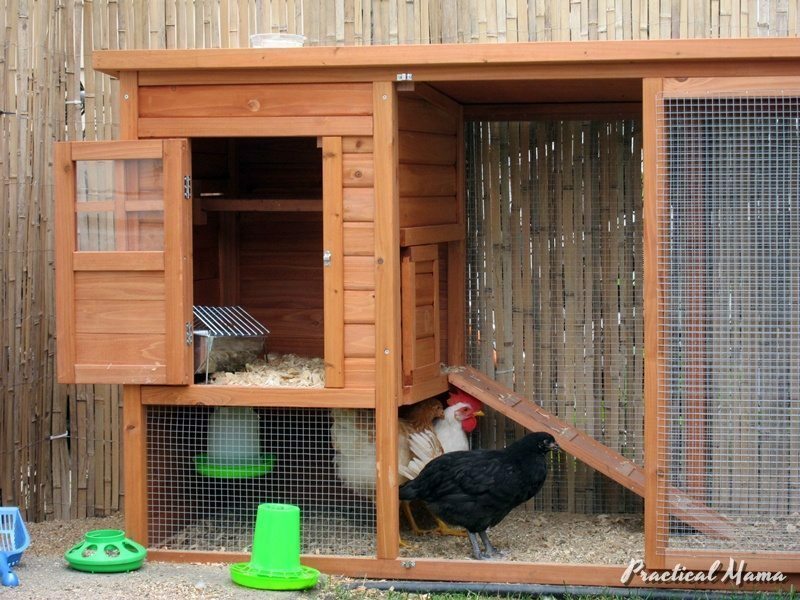 Luckily, our neighbors love our chickens. 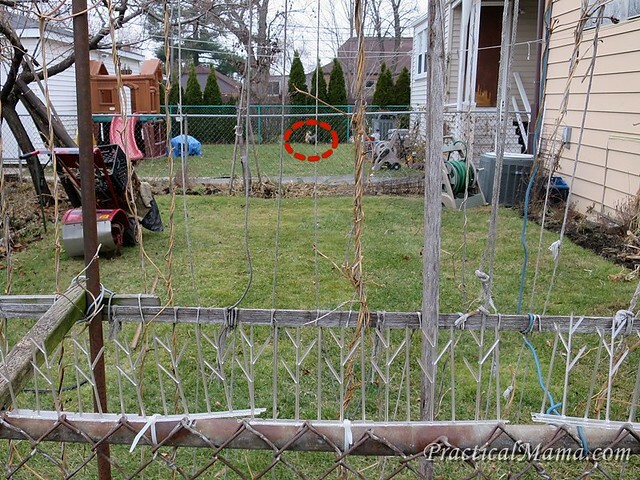 We installed plastic spikes to deter them from flying over, assuming they step on the fence and jump over. It turned out, their wings were so strong that they didn’t even have to touch the fence. The resources on the web say it is usual for chickens to be able to fly high to run away from their predators. Only heavier breeds cannot fly high easily. We were trying to get by with make shift solutions or just bringing them back home, once they were out there somewhere. I was scared of these excursions, because the neighbors one door down in the direction they were moving as well as our opposite side have big dogs. 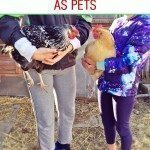 Eventually 10 days ago, my neighbor called me, while I was at work, saying her kids saw our chickens “ACROSS THE STREET” and were trying to get them back to our backyard. That was the tipping point where we had to do find a definite solution to stop them from flying away. 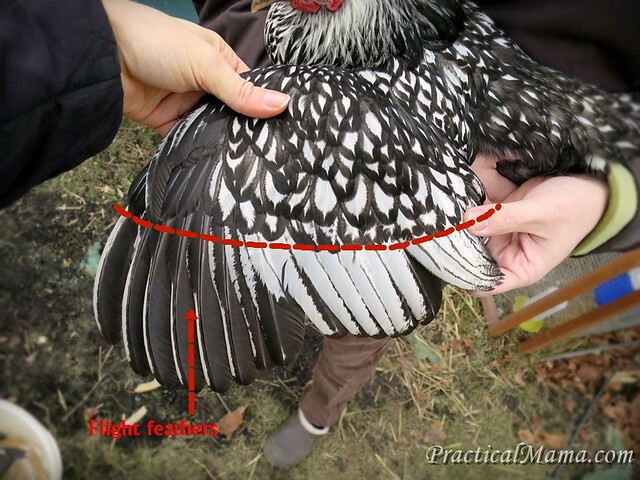 and cut their flight feathers, which can be easily identified a the second layer of feathers as show in the photo above. Here is what it looks like after clipping the wings. Sources say their flight wings will grow back after the next molting season. 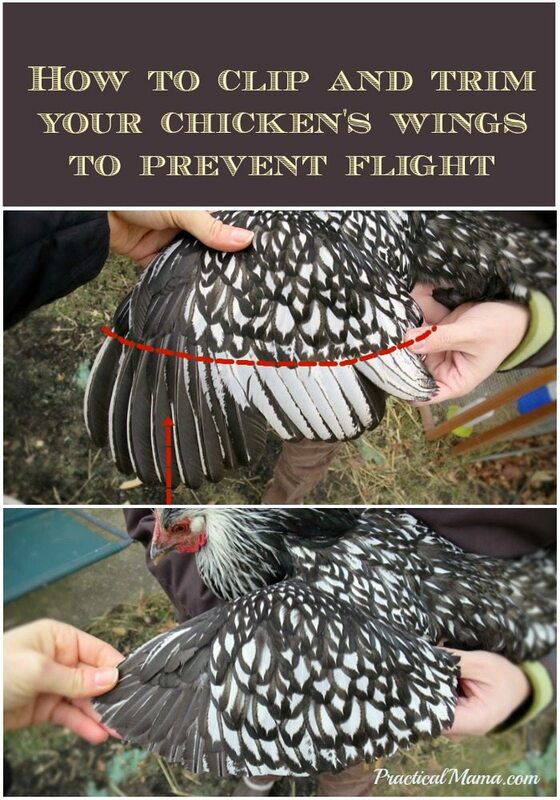 Some resources recommend to cut only one wing to create imbalance. 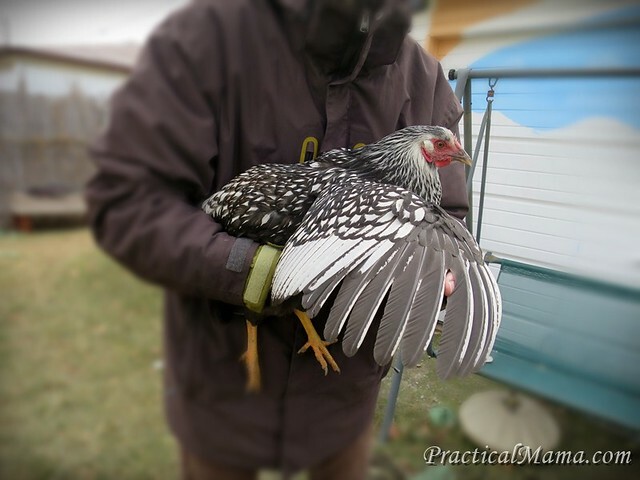 Some resources claim, clipping one wing doesn’t work and chickens figure out how to bring their body up with a wing and a half. Therefore we decided to cut both. Here went the second wing. 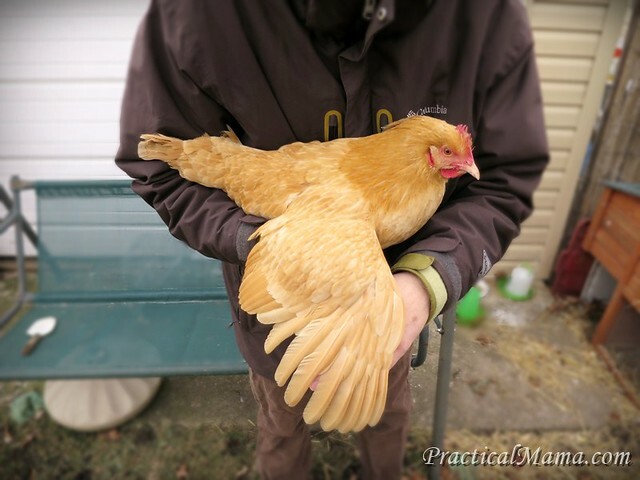 Goldie got both her wings trimmed as well. They were really calm during the trimming, didn’t fuss or fight. They were trying to figure out what happened after the trimming for a few seconds. We made sure that they were ok after the trimming. Then we went in. Half an hour later, I heard a distressed bawking from outside. We rushed to find Silver on the fence and Goldie stuck on top of old mint branches, trying to get on the fence but couldn’t. So much for the trimming. The mischievous Silver was already trying to test her limits with the smaller wings. Luckily, Goldie’s trimming worked.Since the trimming, 4 days ago, they have been staying within the borders of our backyard, mostly, I’m assuming, because Goldie cannot fly up and Silver doesn’t want to go alone. 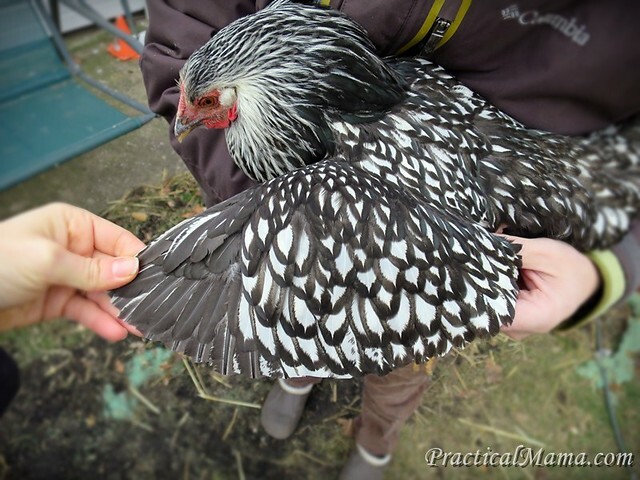 Besides, despite the fact that they are 7 months-old (30 weeks), they haven’t started laying eggs yet. 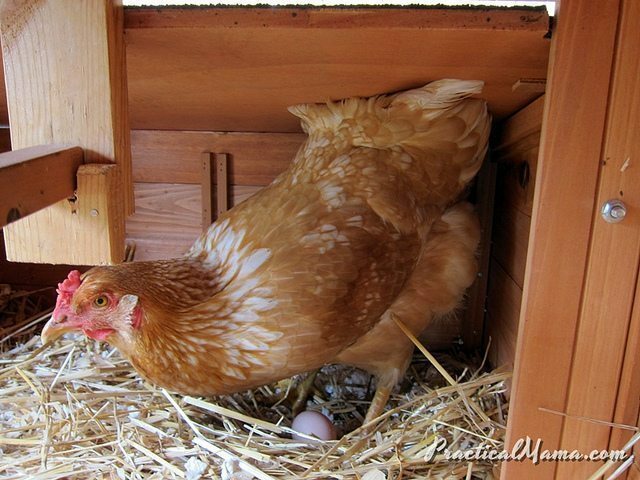 I’m hoping they will start laying eggs before next spring. Hi I nominated you for the Liebster Award!